I think buying gifts for Emery & other little ones is one of my favourite things to do. Stuff for little kids these days is so incredibly fun and unique. I really enjoy giving little gift baskets, especially when they are in practical & cute baskets such as this Pom Pom one from Pehr Designs. A perfect and fun way to wrap any gift. 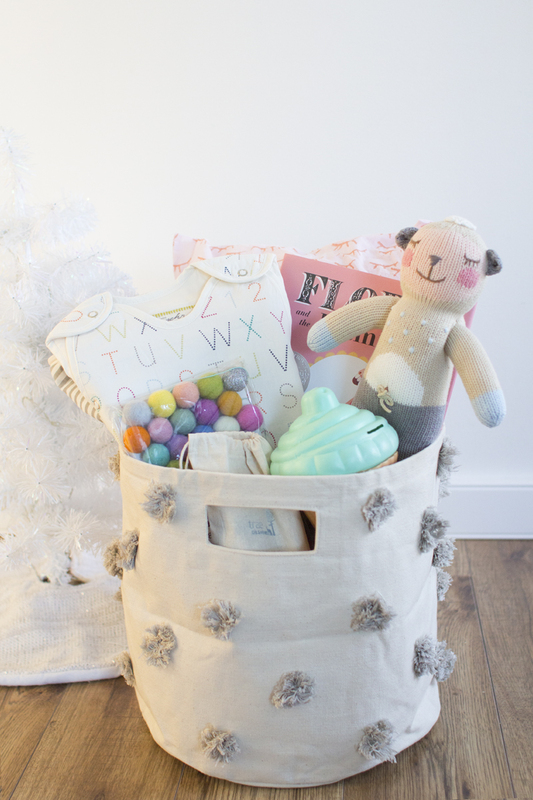 Here are a few of my favourite gifts to give ranging from babies to toddlers. Ok, Clever and Arrow has the most adorable items in their shop! Their cupcake coin bank would be a sweet gift for a new baby to have in their nursery or for a toddler to help them learn about saving money. Either way it makes for adorable decor! Speaking of adorable decor, enter their felt garlands! They are so stinking cute and come in so many different colors & variations. They even offer custom orders if you are looking for something specific. They would be great to hang above a crib, dresser or I was thinking on a cute little indoor tent. For all my Edmonton readers, Clever & Arrow is based out of Stony Plain and offers local pick up and deliveries. One of my all time favourite items as a Mom with a baby (& toddler) is a sleep sack. Pehr Designs has the most beautiful designs for Bunting Bags. They are basically a wearable blanket to keep your little one cozy at night. You don't have to worry if they keep kicking off their blanket, they just keep snug & warm in this little Bunting Bag. 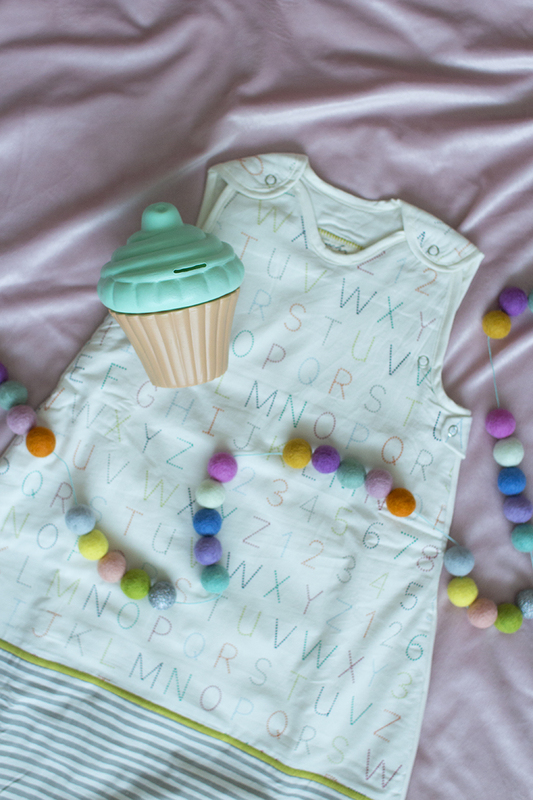 I love this Alphabet print one, it's such a fun print and it's unisex. 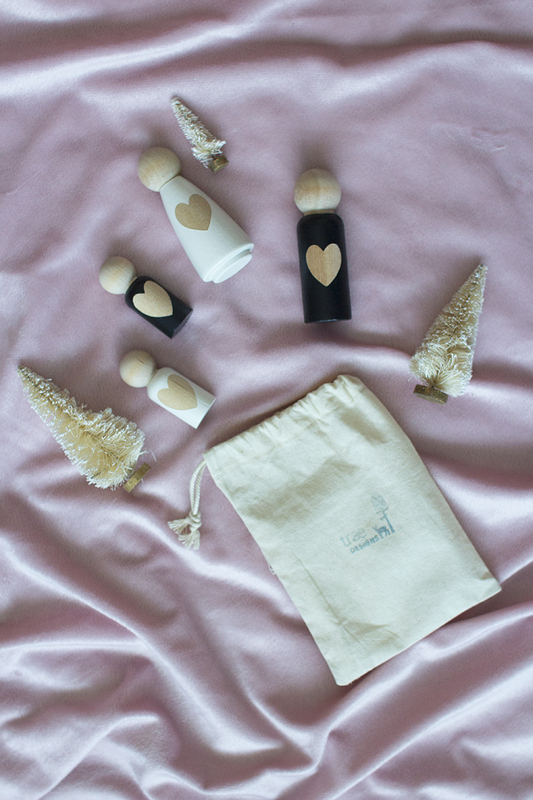 Trae Designs does it again with this adorable little Heart Monochrome Family wooden peg toy set. It would be a great gift to give to a toddler who is an only child but has a sibling on the way. It would also make a great keepsake. I can't wait for Emery to play with this and pretend it's our little family. One of my all time favourite brands for little ones is BlaBla Dolls. I fell in love with their little knitted dolls before Emery was even born. Emery loves her little BlaBla dolls and any parent or little one will be thrilled to receive one as a gift. Their dolls are so special and make such a beautiful gift. 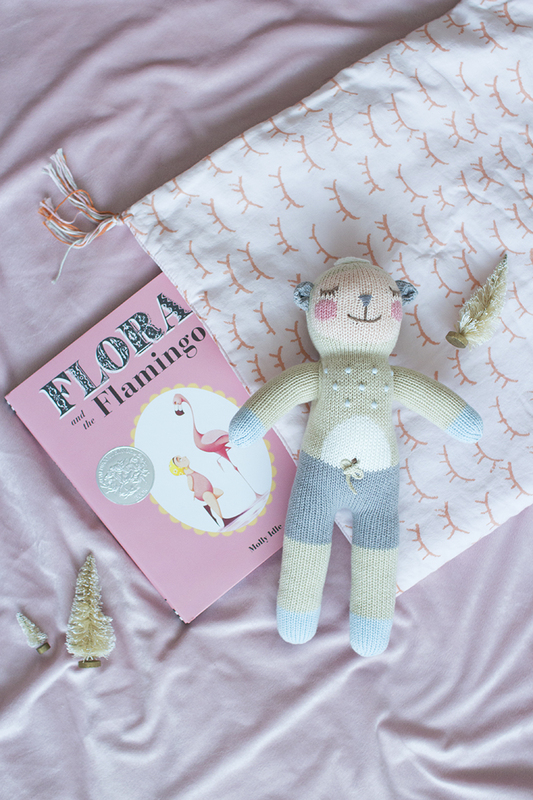 This Wooly Sheep comes in two different sizes, and they also just released a book about this doll. The two would make a perfect pairing. BlaBla Dolls not only has beautiful toys but they create the most unique & gorgeous bedding. They have crib sheets, coverlets, knitted blankets and pillows. This pink eyelash coverlet is a thoughtful and fun gift for any toddler who is getting ready to make a switch to a big bed. If you have a little reader in your life any fun book always makes a great gift. This Flora & the Flamingo is a beautiful and magical book. The book is about friendship which is so sweet, the illustrations are so special, and it has flaps which any toddler always loves. What fun and special gifts have you picked up for the little ones in your life? Please share below!